The challenge in my studio was wall space...I needed more of it without destroying the openness of the room. I knew I wanted mobile walls and called in some friends and family to help. After a few minutes of brainstorming we headed to the lumber store. Initially, we were planning to create an L shaped wall, but I decided it would have been too cumbersome. In the store we decided smaller individual walls would be more versatile. 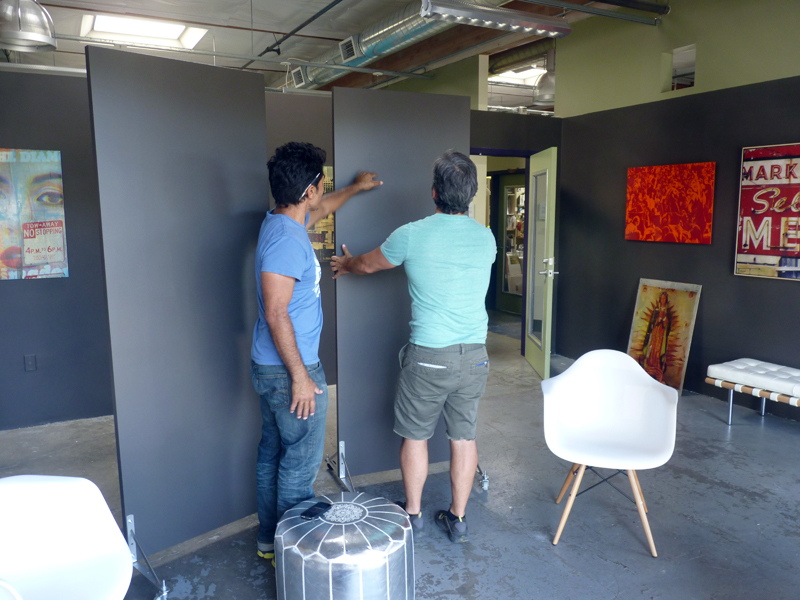 Using lightweight hollow doors, some brackets and casters we created three amazing rolling walls that double my wall space and can be reconfigured in the room or easily stored if i need more space. Simple, clean & affordable design. I love it!